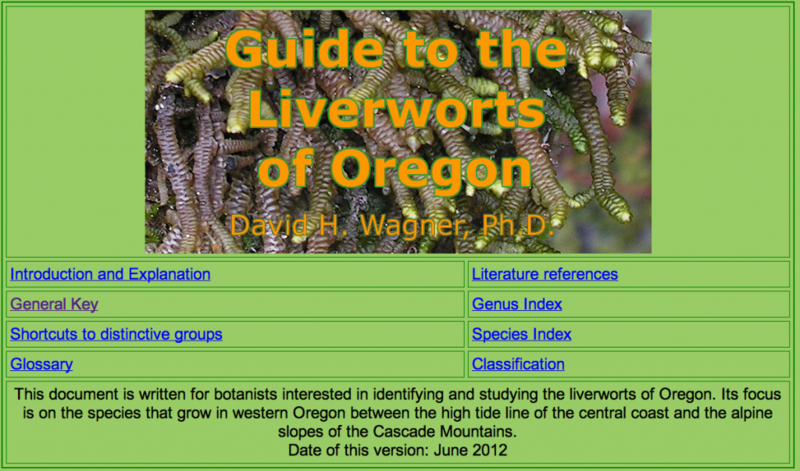 This is the current draft of "Guide to Oregon Liverworts © 2014." this website for examples of this kind of HTML key. This "Guide"
on DVD requests!! Shipping costs included in the price.